Chris has considerable financial services experience. 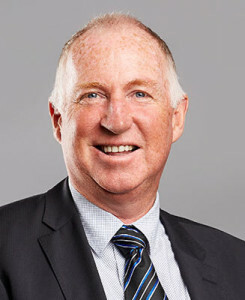 He commenced employment with Dobrigh & Winterbottom (now The Field Group) in its Accounting division in 1981, and became a partner in 1987. He spent a number of years concentrating on taxation, superannuation and business advisory services and started the financial planning division of The Field Group in 1999. Chris is a Certified Financial Planner, which marks the highest professional certification that can be awarded to a financial planner. He has been accredited as a Self Managed Super Fund Specialist Advisor. He is also a Fellow of the Association of Certified Practising Accountants and holds a Bachelor of Economics at Monash University. We are a ‘Referral Only’ business. We gain our referrals from our existing clients and from Accounting and Legal professionals with whom we have an established and trusted association with.